Looking for that last minute holiday gift? 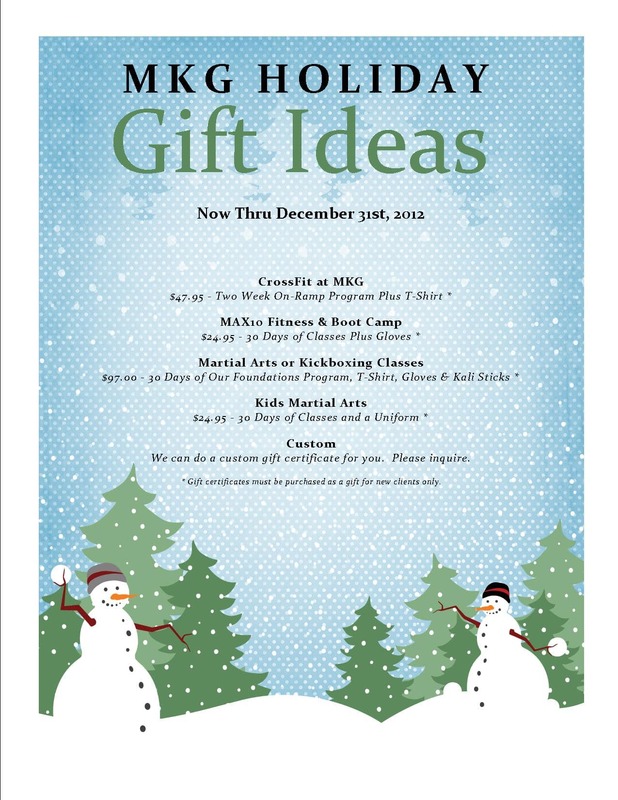 MKG Seattle has a series of great gifts for everyone! 1 Month of MAX Fitness + Gloves for $24.95. 1 On Ramp session + Cross Fit T-Shirt for $47.95. 1 Month of Adult Martial Arts classes + Shirt + Gloves + Rattan Sticks for $97. 1 Month of Kid’s Martial Classes + Uniform for $24.95. Gift Boxes will be available till the end of the month, get them before they are gone!